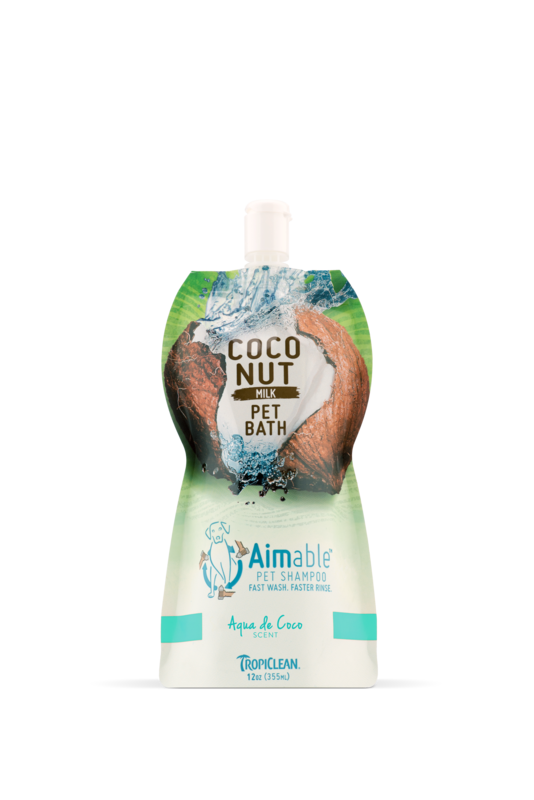 TROPICLEAN AIMABLE PET SHAMPOO: AQUA DE COCO for a fast wash and faster rinse. Aimable Pet Shampoo helps you save time, apply evening and rinse quickly. Coconut milk helps create a rich lather while supporting a healthy and fresh coat.